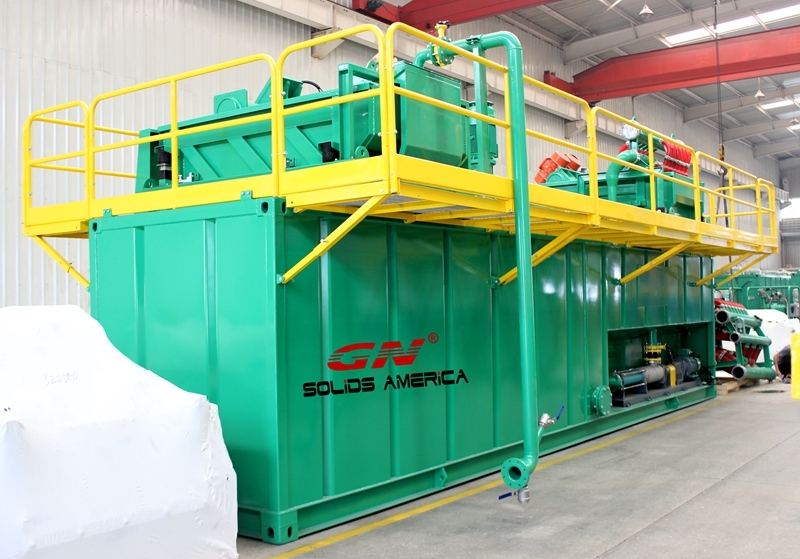 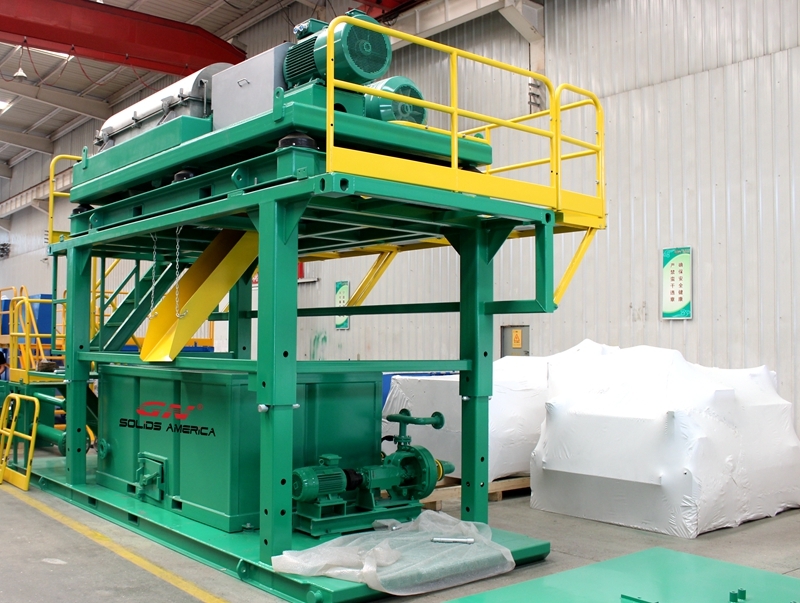 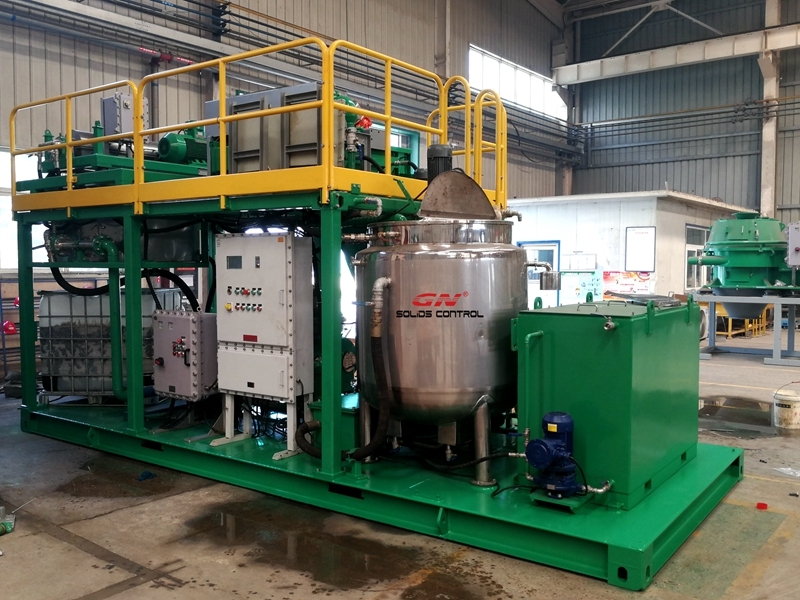 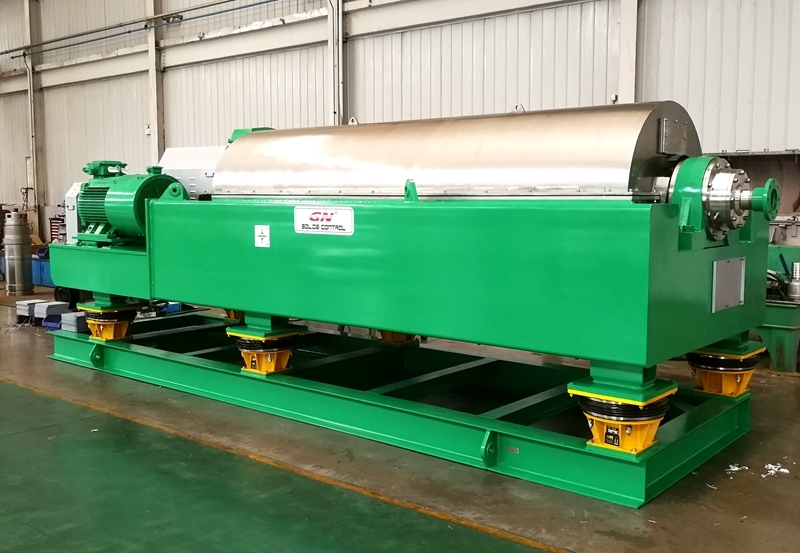 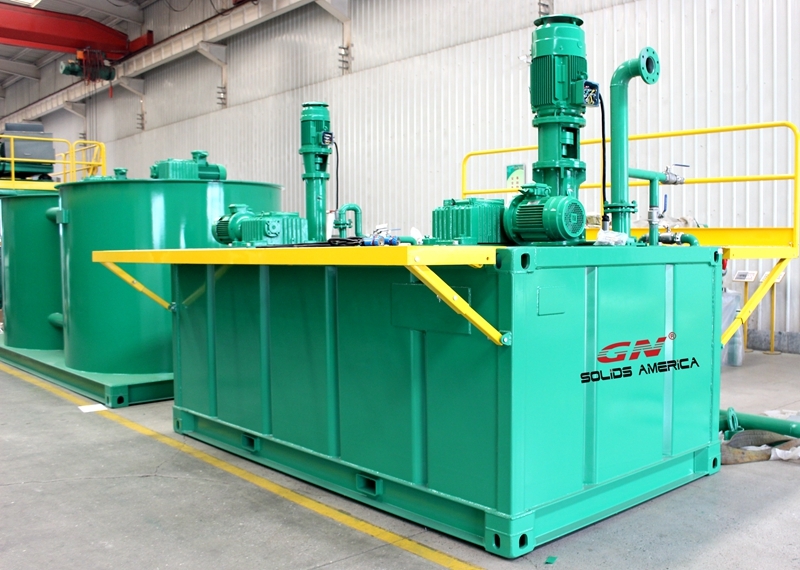 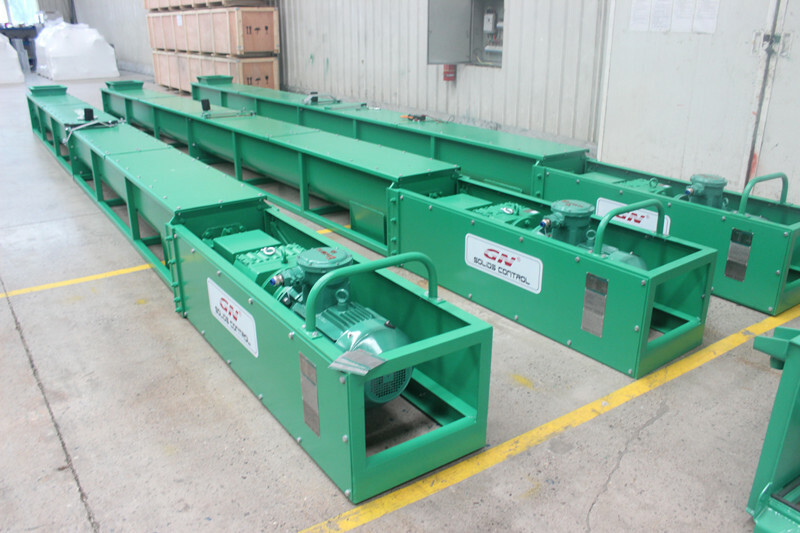 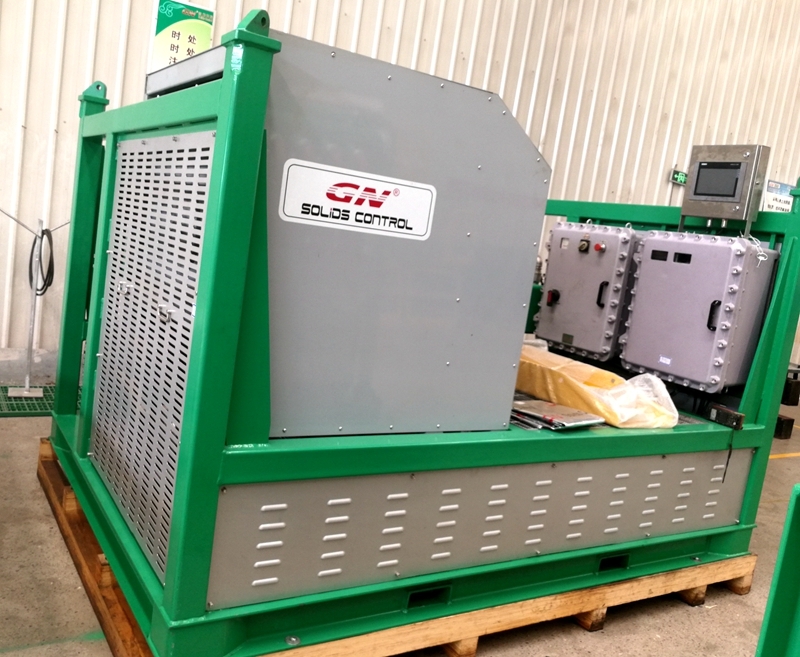 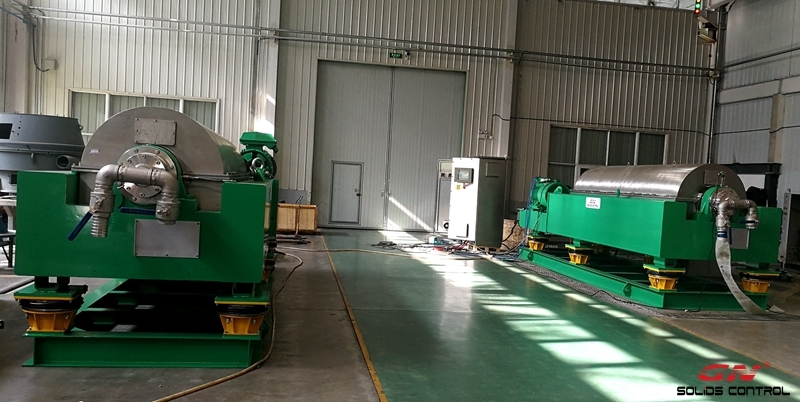 1) High G force vertical cuttings dryer: Vertical cuttings dryer is the ideal equipments to separate oil from oil based drilling cuttings, the result is the oil on the cuttings below 5%. 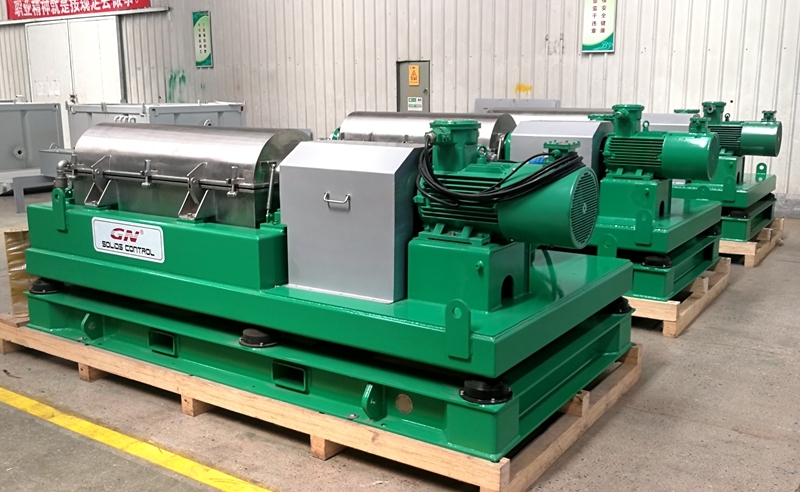 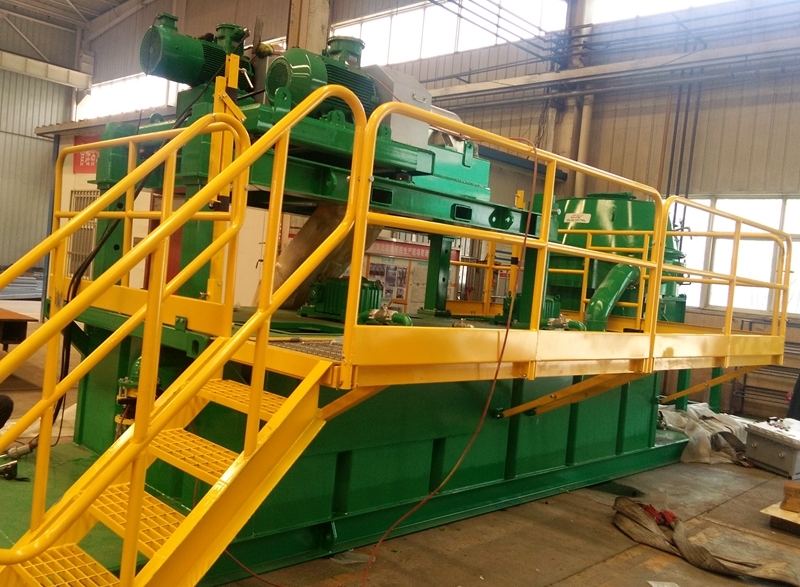 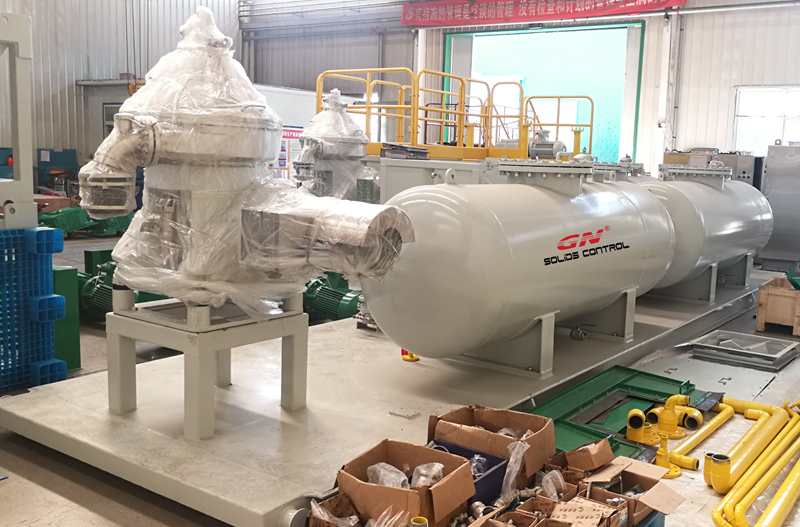 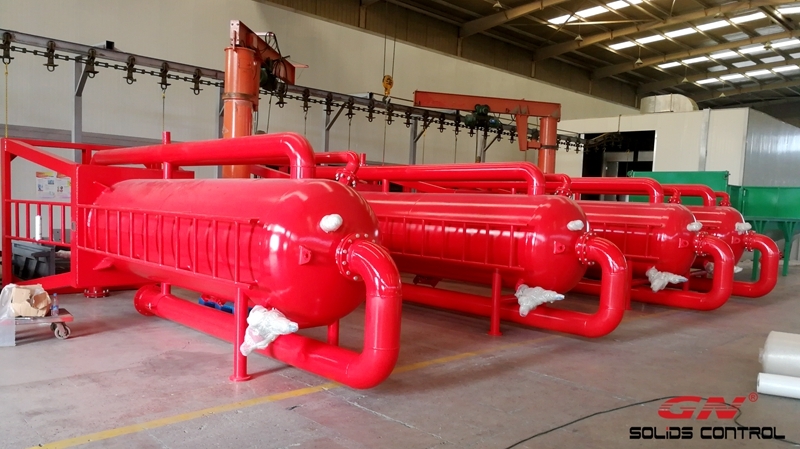 The flushing pump for the vertical cuttings dryer is Germany Netzsch brand screw pump, the client can choose to use their own pump if necessary. 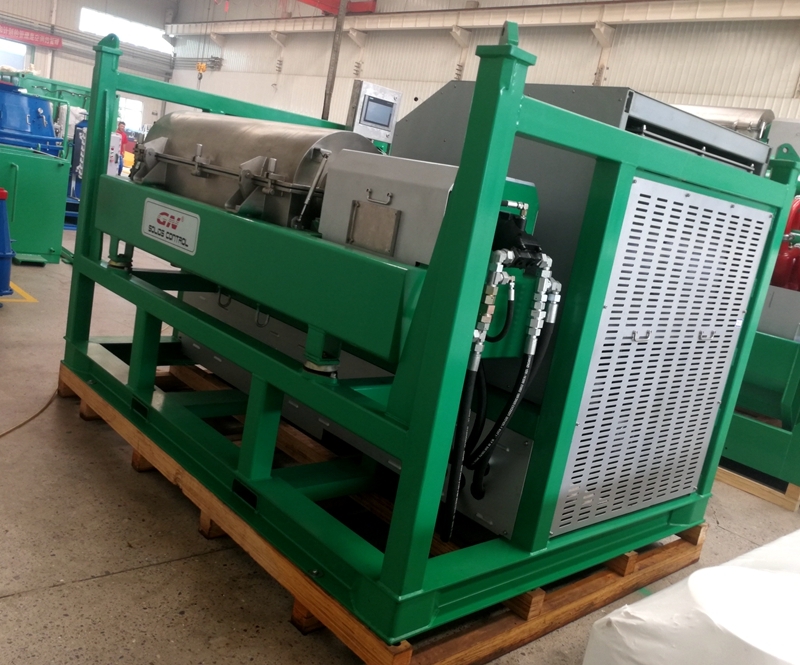 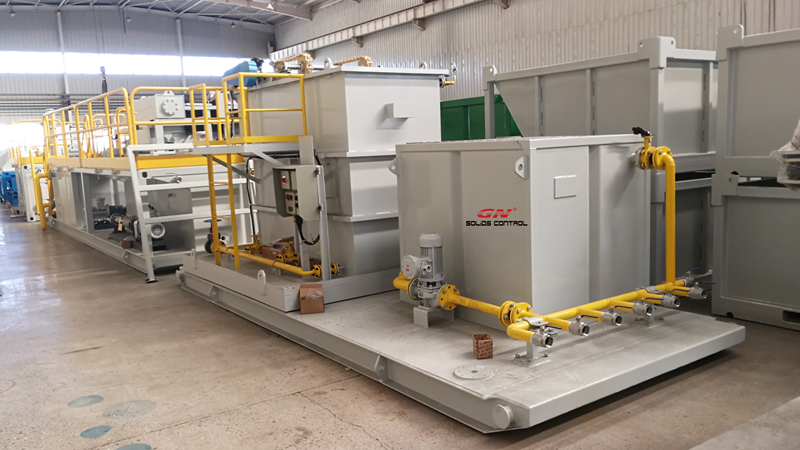 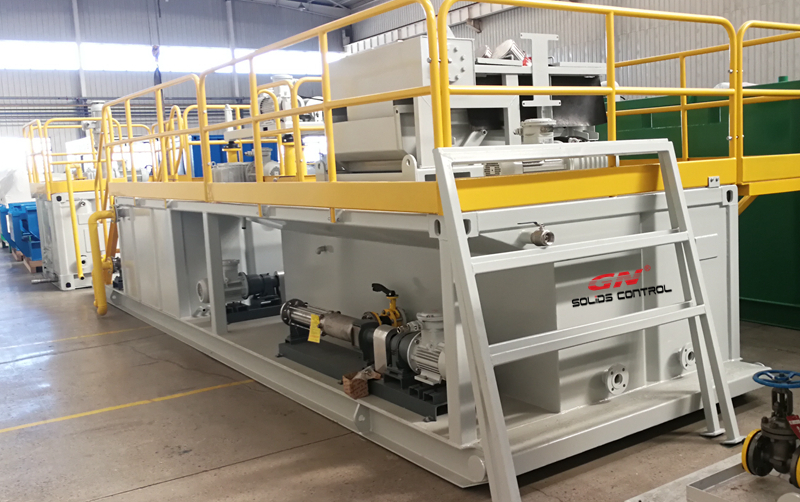 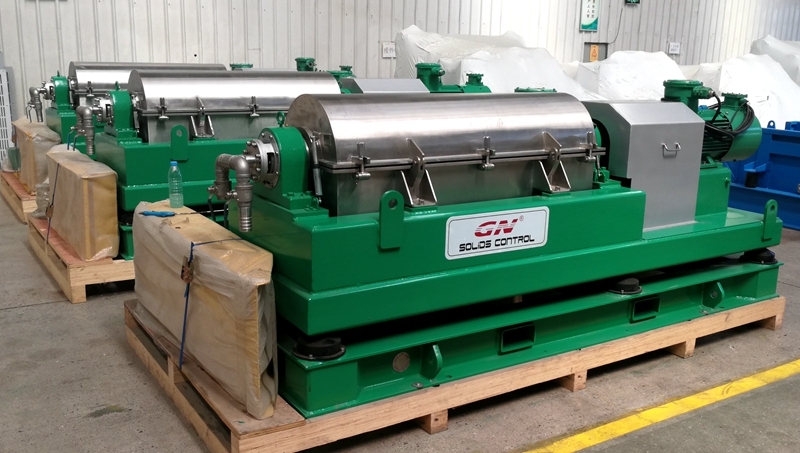 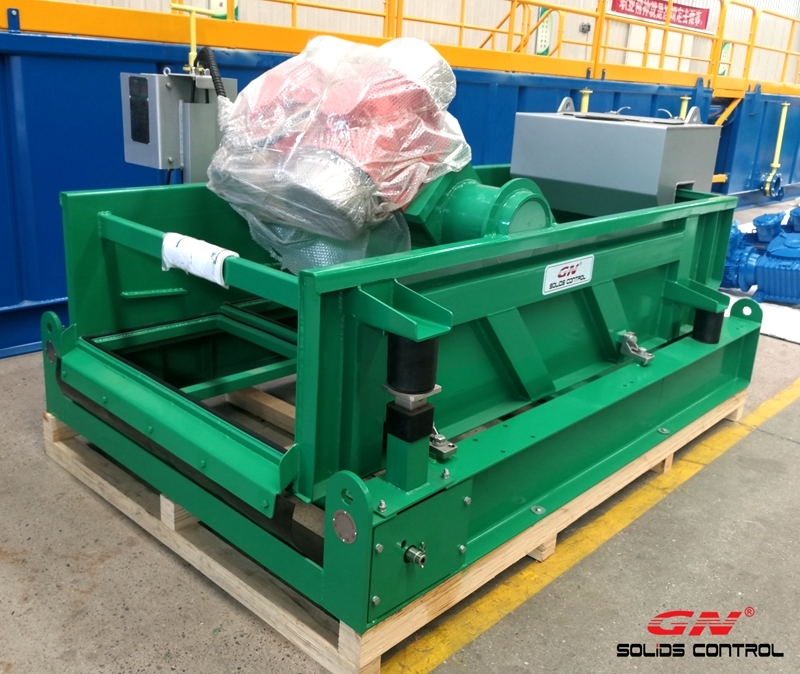 2) High speed decanter centrifuge to separate the fine solids from the fluids recovery from the vertical cuttings dryer fluids discharge port. 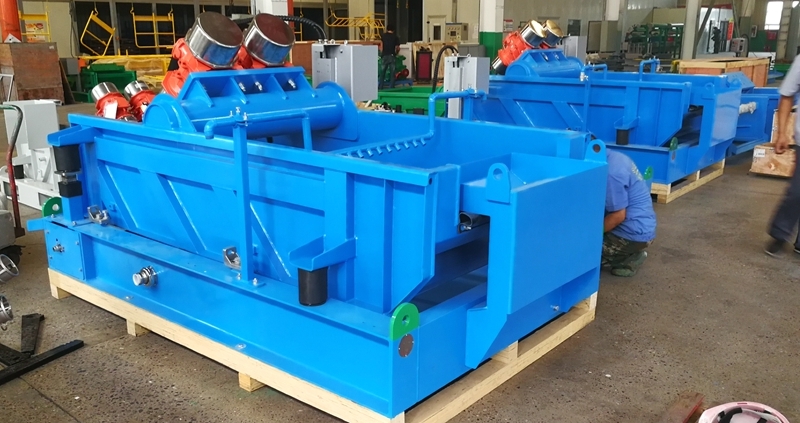 The centrifuge feeding pump is Germany Netzsch brand screw pump for reliable feeding. 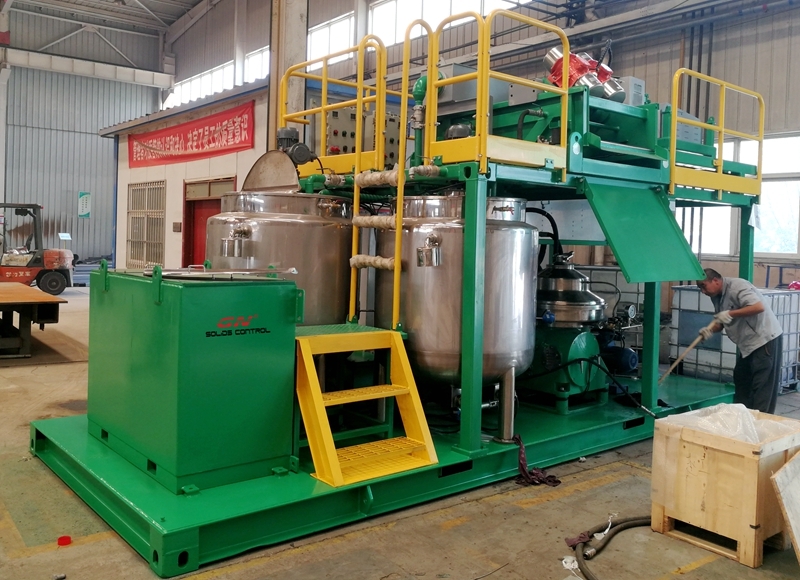 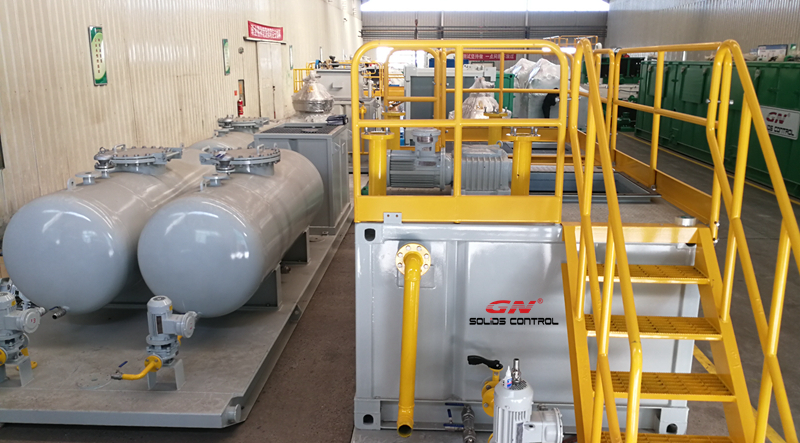 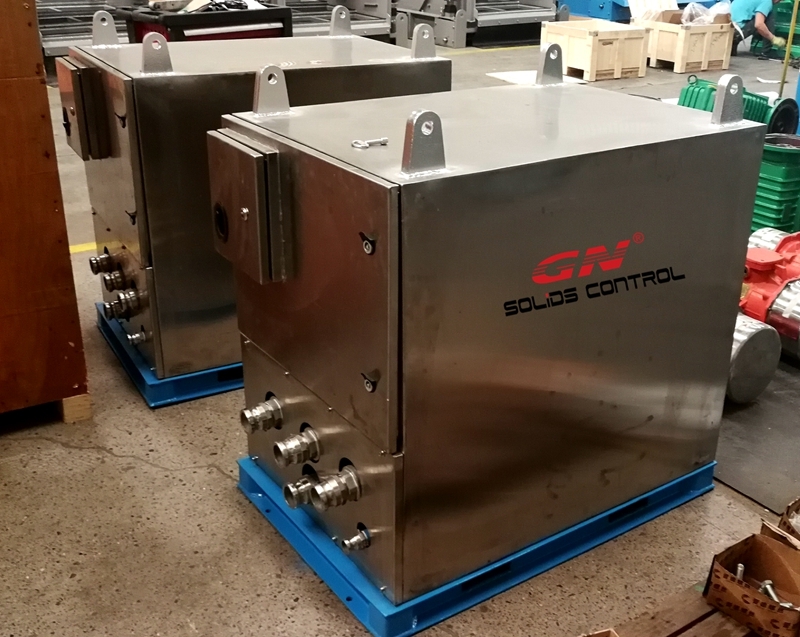 3) Catching tank to collect the fluids discharged from vertical cuttings dryer and decanter centrifuge, the tank divided into 2 compartments, each compartment with one mud agitator to prevent the soils from deposition. 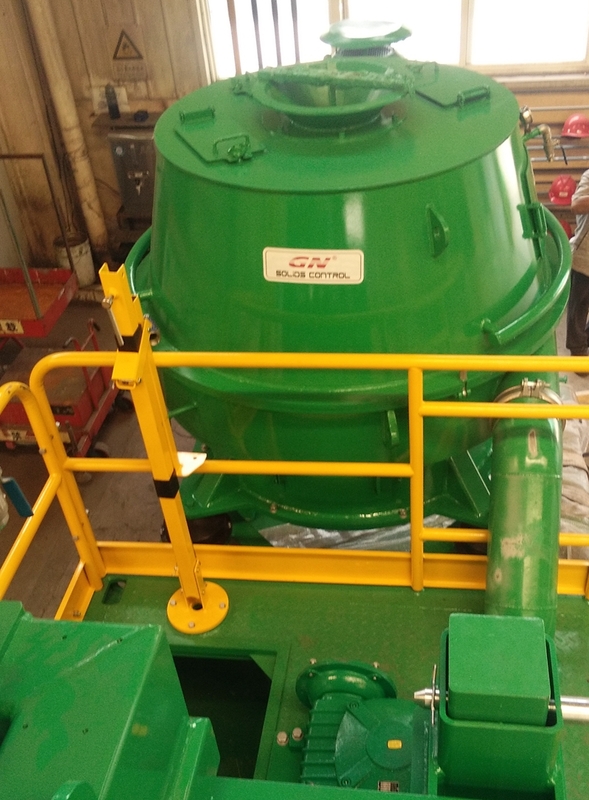 2) The collection box is made of stainless steel, the bowl is all made of deplex stainless steel 2205 by centrifugal casting.